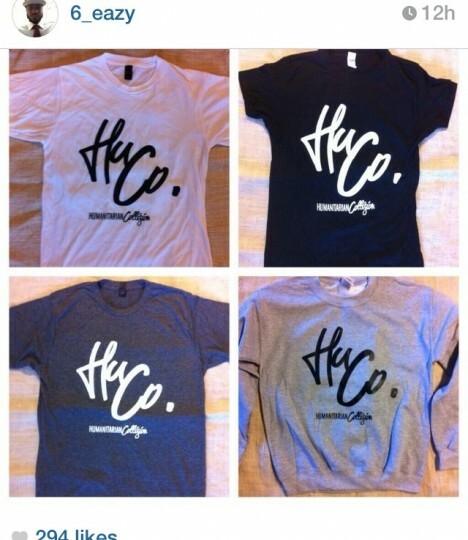 Humanitarian Collision (HuCo) is an urban street wear brand dedicated to promoting the advancement of all people. 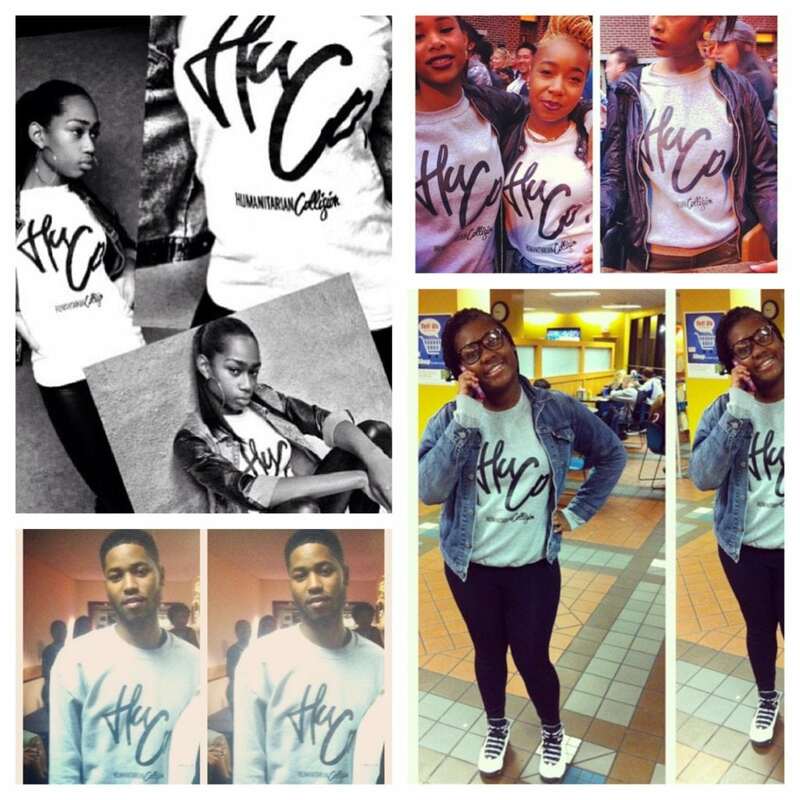 Founded by Bloomsburg University student, Brittany Love, her passion for the inner city community drove her to create this charity clothing line. Growing up in North Philadelphia allowed Brittany to see what life was like as an inner city adolescent and the struggles they go through. 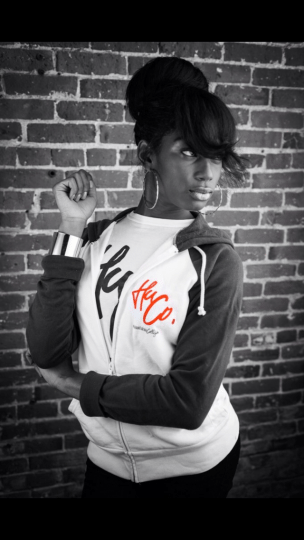 Motivated by her personal experience, she created Humanitarian Collision Oct. 2011. With proper planning, she paced herself and shadowed successful screen printers to allow herself to be as knowledgeable as possible in all areas of the business. She continued to push forward to learn more about the financial side of things and plan how she would not only make enough money to create more apparel but to give back to the people she set out to help. Humanitarian Collision’s mission is to help the inner city youth, homeless men and women, the medically ill and low-income students. Last winter, Humanitarian Collision delivered turkeys and assorted canned goods to three families in need; the participants were chosen by essay submission. Today Humanitarian Collision has participated in numerous volunteer programs and events: blood drives, clothing giveaways and community church feedings just to name a few. This winter, Humanitarian Collision is teaming up with some other charitable organizations to do another food giveaway and coat drive. Brittany Love is expected to graduate in May of 2015. After graduation, Brittany plans on making Humanitarian Collision an official non-profit organization. Not only will she continue to produce apparel, HuCo will help Philadelphia in building better recreation centers and more afterschool programs for the children and teens of Philadelphia. Humanitarian Collision will have a scholarship program for those that qualify. Annul School supply giveaways and charity events are in the works. Humanitarian Collision doesn’t plan to stop there; caring efforts in Africa are included in future plans as well. HuCo is always interested in street team members and ambassadors for the brand. If you think you’ve got what it takes to represent the brand and have a good following, then this may be the job for you. Special perks are given to those that are involved with HuCo and will also provide a “hands on” experience of behind the scenes work of charitable organizations! Next articleWiGo: Who is Going Out?